South Africa does not need a national flag carrier to carry jet-setters and politicians. And it certainly does not need to pour billions of rand each year into a financial black hole, when it struggles to afford housing, schooling, healthcare and basic infrastructure maintenance. The last annual report of South African Airways was published in April 2018, although it covers the financial year ending on 31 March 2017. The rest of us mortals are required by law to prepare annual financial statements within six months of the end of a financial year, but SAA is in such a mess that it is incapable of producing timely or accurate financials. Besides receiving government bailouts, the appointment of a new CEO and board, and the merger of the failed SA Express into SAA, nobody really knows what SAA has been up to for the last year and a half. It’s previous annual reports make for alarming reading. Since being split out of Transnet in 2006, SAA has made small operating profits only three times, from 2009 to 2011. Since 2012, it has lost money every year. And there is no end in sight. Although revenue has been stagnant at R30.7-billion per year, total costs jumped by 11% from 2016 to 2017. In 2015/2016, it managed to reduce its loss from R6.142-billion a year earlier – its biggest loss ever – to R1.478-billion, but in 2016/2017, the gains were wiped out almost completely and the year ended on another resounding loss of R5.569-billion. For decades, SAA has received regular bailouts from government. Between 1999 and 2016, those bailouts amounted to R14.4-billion. But that’s peanuts. Last year alone, it received a R10-billion bailout. This money was diverted from essential services such as housing, education, healthcare and public infrastructure, to support a business that caters only to wealthy tourists, rich business people, and top politicians. This year, new CEO Vuyani Jarana – formerly group executive at Vodacom – has asked for an astonishing R21.7-billion to cover debt obligations and working capital for the next three years. Total government support for SAA, in cash and debt guarantees, now stands at R46-billion. That is enough to build 460,000 houses worth R100,000 per house. It’s enough to build more than 3,000 schools at R15-million per school. It’s enough to fully fund more than 300,000 three-year Bachelors’ degrees at R50,000 per degree per year. It’s enough to tar 13,143km of road. It is an enormous fortune, that ought to be spent on the poor, not the rich. 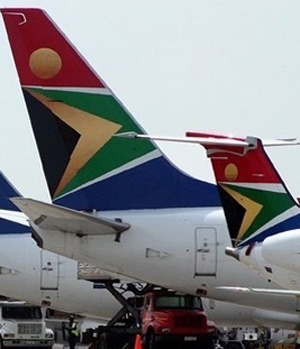 Jarana has promised that SAA would be profitable by 2021, and accepted a R100,000 bet with Leon Louw, the executive director of the Free Market Foundation, to that effect. Unfortunately, the state of the organisation , suggests Jarana’s confidence is misplaced. And even if he succeeds, mere profitability is not good enough. According to IATA, the global airline industry made a 4.1% profit margin in 2017. That’s unusual, as the airline industry is infamous for not making any profit at all. But let’s suppose Jarana can get SAA into a position to make a 4.1% annual net profit. At that rate, it will take more than a quarter of a century to wipe out SAA’s cumulative loss, which now stands at a staggering R31.64-billion, and will rise further until annual profitability is achieved. Meanwhile, SAA’s liabilities stand at R33.718-billion, more than twice its asset base of R15.916-billion. To date, SAA has received R19.1-billion worth of debt guarantees from the state. And that’s just based on its published reports. The Auditor General’s report on its financial statements is a litany of qualifications, all suggesting that nobody knows whether SAA’s claims about its finances are even true. So nobody knows the true state of SAA’s finances. The Auditor General said it could not confirm the airline’s net loss of R5.569-billion. So SAA is bankrupt, if its claims about its finances are true. The Auditor General reported that the spare parts inventory of SAA Technical is neither complete nor reliable. Some parts are not even uniquely identifiable in the accounting system. Parliament’s Standing Committee on Public Accounts has warned that a “looting syndicate” has “run amok” at SAA Technical, making off with everything that isn’t bolted down, including entire aircraft engines. Employees at all levels of the organisation are complicit in the corruption. Most of the board that was in charge during the 2016/2017 financial year, headed by controversial chairperson Dudu Myeni, was axed late in 2017. Many of its members face corruption allegations, and at least two – former acting CEO Musa Zwane, who was also CEO of SAA Technical, and acting CFO Phumeza Nhantsi – have been found guilty of gross financial misconduct, negligence and dishonesty. The latest blow to SAA is its undertaking to merge the failed domestic airline SA Express into its operations. SA Express was grounded in May 2018 for failing to maintain its aircraft. It subsequently lost most of its routes to private competitors such as Kulula and SA Airlink. Yet before returning to the skies under the management of SAA, it sold none of its aircraft and retrenched very few of its staff. This means its revenue base has been largely destroyed, without any commensurate decline in costs. Expect further bailouts to go to SAA to keep it afloat with the latest millstone around its neck. Jarana’s determination and optimism is commendable, but the rot runs deep, and we’ve heard it all before. SAA is permanently in “restructuring” mode. New corruption allegations against the airline keep cropping up, and have done so for decades. It must have had nearly a dozen turnaround plans in the last two decades. None of them have ever succeeded. SAA is dead on its feet and there is no realistic prospect of recovery. It is time to place it under administration, break it up, sell off the parts, and shut the remainder down. Parts of it can be profitably spun off as independent businesses. Mango, SAA’s low-cost airline division, is profitable and can be sold off as-is. That represents about 7% of SAA’s total value. SAA Technical will have to be cleaned out, starting with an inventory of what it actually owns, and including an evaluation of how many of its staff are criminals. Once it is rehabilitated, it can be sold off as an independent company. It only accounts for 2.3% of SAA’s revenue, though, so if it needs to be shut down, so be it. Someone in the private sector will gladly step in to provide technical services to airlines and pick up the pieces of SAA Technical on auction. Air Chefs, SAA’s inflight catering division, should also be able to stand alone as a private business. It is only worth 0.4% of SAA’s revenue, however, so who really cares? SAA Cargo is spiraling around the plughole, and without much by way of independent assets, should probably just be closed down. Private competitors in the market can easily pick up the slack. It is worth less than 6% of SAA’s revenue. The vast majority of the SAA group’s revenue, 84.5% comes from the main passenger airline business. This business is probably best sold-off piecemeal. Private domestic competitors can pick up some pieces to expand their routes and increase passenger numbers to fill the vacuum left by SAA. Other competitors, including foreign airlines, can do the same on international routes. SAA’s landing slots and parking spots are very valuable, and it should have no problem finding buyers for these rights. Some of SAA’s gas-guzzling aircraft are probably destined for the secondary market or the scrapyard. The government will have to make good on its promise to guarantee a significant portion of SAA’s debt. Considering the exponentially escalating bailouts SAA has needed over the last couple of years, cutting its losses would be the fiscally responsible thing to do. There will be a temporary shock to the air travel business, but private operators will be quick to step up to the plate and capitalise on the demise of SAA. And without the need to compete against a perpetually tax-funded state-owned behemoth, which is always able to undercut them because it never has to face financial reality, private airlines will finally have an opportunity to thrive. They will grow rapidly and employ many of the staff that SAA would have let go. But the biggest benefit of selling off and shutting down SAA will be to the great mass of South Africa’s poor citizens, who pay dearly to support a loss-making flag-carrier without benefiting from it in any way. They would benefit significantly from a government that is less strapped for cash. Putting SAA out of its misery would be the greatest service the government could do for the South African people.